78 years, 2 months, 11 days old age. Louis Banks will turn 79 on 11 February, 2020. Only 9 months, 19 days, 10 hours, 2 minutes has left for his next birthday. Louis Banks has celebrated the total number of 78 birthdays till date. See the analysis by days count and bar graph. Nepalese by family lineage, Louis Banks was born on 11-02-1941 in Darjeeling in the state of West Bengal, India. 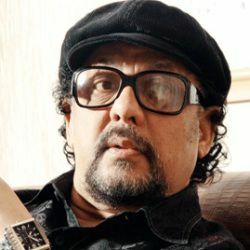 He is an Indian Composer, Record Producer, Musician, Music Director, Arranger, Singer & Playback Singer who known for his work in Bollywood films industry. Louis started his career as a band member of a hotel and performed for three years there in Kathmandu. He then moved to Calcutta and formed a band namely, The Louis Banks Brotherhood, with singer Pam Crain and saxophonist Braz Gonsalves. In the mid-1970s, R.D Burman listened to his music in Blue Fox hotel and then invited Louis to play along with him. He played piano and keyboard with R.D. Burman, Laxmikant Pyarelal and Bappi Lehri in many Bollywood films. He started composing Jazz on Indian classical scales along with the new band member, saxophonist Braz Gonsalves. Around 1984, he got seriously into electronic instruments and started writing for commercials and became a blue-eyed boy of the advertising world. In 1980 he teamed up with Carnatic classical singer Ramamani forming a band called SANGAM and performed around 60 concerts in many parts of Europe, Middle East, South East Asia, and the USA. He again formed a band in 2005 namely Rhythm Asia with table and sitar players. Louis got his biggest achievement in 1988 when he composed the tunes of iconic song “Mile Sur Mera Tumhara”. He also provided music to Spread the light of Freedom. His musical compositions can also listen to a number of Bollywood films and two English films, Bokshua and The Myth and God only knows. Louis continues to compose for ad commercials. Louis followed his passion and explored the new territories in music in India and abroad with his world fusion bands SILK, with Shankar Mahadevan, AATMA with Gino Banks, AAKRITI with Adittee Bhagwat and ASIA ELECTRIK with Sivamani and Niladri Kumar. He has been often referred as Godfather of Jazz in India. He was born to a musician George Banks & Sarswati Banks. He is married to Lorraine Banks and together the couple is blessed with four children named Neil Banks, Andre Banks, Monique Banks & Gino Banks. His son Gino is also a musician. The music composer Bakhat Bahadur Budapirti was his grandfather who had composed the Nepalese National Anthem Shreeman Gambhira Nepali.